Black synthetic top, generous layer of cushioning to ensure maximum comfort, oval shaped red reflective panel on back. No bag loops. Weight 528g. Dimensions: 275mm nose to tail x 175mm at widest point. It was exactly I was looking for. Confortable and high quality product. 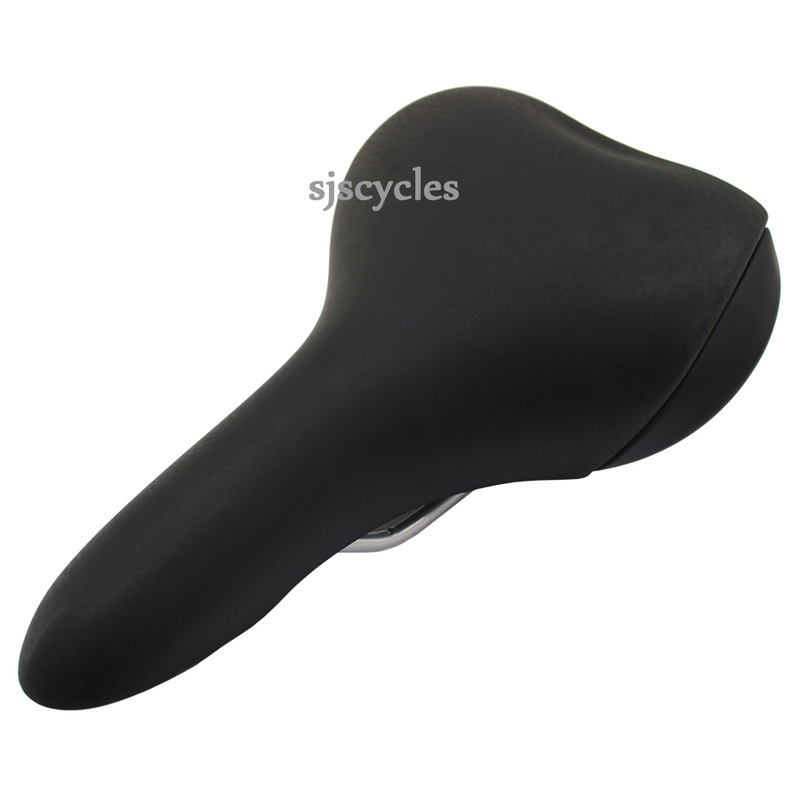 A saddle is such a personal thing and I tried many before this was recommended to me by SJS Cycles. I sat on it all the way from England to Portugal, covering about 4000km and after a couple of weeks of "riding it in" did not experience any discomfort and not even a hint of chafing. I am so impressed I have just ditched a more expensive saddle on a new bike and replaced it with one of these.